Love the title and how you did it, great job!! LOVE your title, Tina!!! Something about boys and junk food... my DS does this too, tho we've learned since to put those things HIGH up in the pantry! :) Love your paper strips and title work is fab! what a cutie! Oh how I loved these days with my little ones - I could sleep a little later in the morning once I realized they would get the cereal out themselves! haha, I love this! Reminds me of my ds when he was about that age and he was impatient and grabbed the box of Cheerios and plopped right down in the middle of the kitchen floor and dumped out the entire box and then proceeded to enjoy his breakfast! Too cute!! Precious! fun title and I like the washi. Adorable pics! Love the pp's and the bits of washi! What a cutie. I love that arrow washi tape. Great choice of paper colors that match the photos. haha cute! 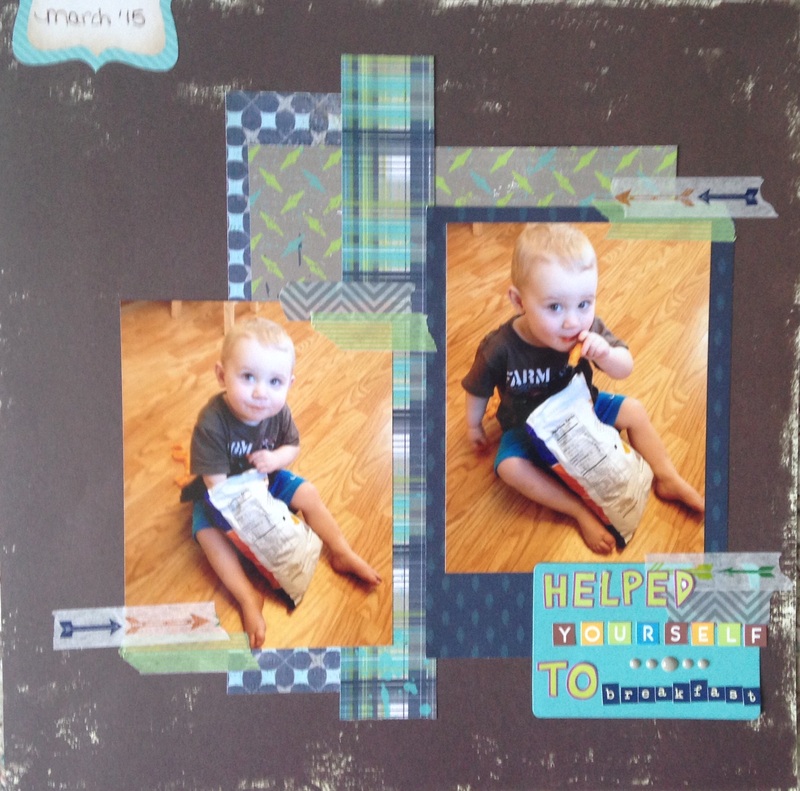 love the washi tape and layers! Great pp!